Marion is an award-winning presentation skills coach who enjoys mentoring managers and business professionals at all levels on a 1:1 basis. She can help you improve your confidence and overcome your nerves and fears about presenting. All of her training sessions are bespoke and will help you to become a more engaging presenter. As a Simply Amazing Training licensed practitioner, Marion is passionate about the power of working with individuals, helping them to be, and achieve, the best they possibly can. Mentoring people to “Tame their Public Speaking Monkeys” and become calm, confident and engaging presenters creates a positive impact for the participants on a personal and professional level, as well as for the organisations they work for. Marion became an enthusiastic advocate for Neuro Linguistic Programming (NLP) when she studied for and qualified as an NLP Practitioner and Coach and saw the transformation effect it could have on people’s mindsets. Following her passion for personal development and helping others to achieve, Marion set up her own business. 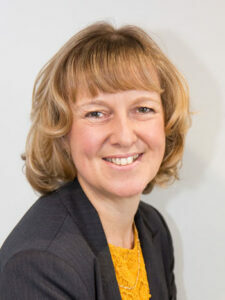 After gaining diplomas in Corporate & Executive Coaching (Distinction) and Personal Performance Coaching (Merit), she is now able to utilise her skills and experience whilst working with clients so they gain maximum benefit from coaching and mentoring through an effective mix of raising self-awareness and communication skills. In 2017 she was recognised for her work and shortlisted for two of The Coaching Academy’s International Coaching Awards. During her career, she has designed, presented and delivered training on communication and management skills, change management and specialist subjects. She always ensures that training is enjoyable, participative and maximises learning in order to create a real difference in people’s behaviour. Her extensive experience ensures that clients receive clear feedback, advice and guidance on presentation content, strategy and techniques. She has a degree and postgraduate qualification in Human Resource Management, and is a Chartered Member of the Institute of Personnel & Development. With over twenty years’ experience as a Human Resources and Organisational Development specialist, Marion has worked in the private, public and third sectors. This has enabled her to understand the business challenges of a diverse range of industries and companies, from insurance to health and retail to property management. Her background in HR has encompassed a range of areas including management and leadership development, change management, engagement, recruitment and employee relations. With experience working as part of senior leadership teams, she has the ability to see the big picture quickly, drill down to detail when appropriate, and identify how to contribute to the success of a business. Marion is also accredited to carry out Personality Profiling which helps to identify the preferred communication styles of any audience. Presenters can then raise their awareness and adapt accordingly to communicate more effectively. Also an Accredited CPD Standards Coach, this programme counts towards individual client’s CPD hours. Encouraging people to achieve their best also extends outside the workplace and she has previously undertaken voluntary work with young people in both Dorset and Bedfordshire working towards their Duke of Edinburgh Awards. Please contact me for course information using the contact form (on the right) or call me on 07980 513646.